Join founder of SD Style Bloggers, Lil Bits of Chic's Paulina and Heidi of A Fashion Statement Style Blog for the Styld.by event with Gap! 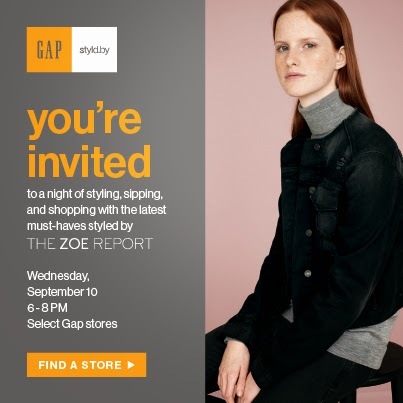 Paulina and Heidi have collaborated to work with the Gap Fashion Valley on showcasing their new fall line and have styled outfits for the in-store event. This Wednesday, September 10th from 6pm - 8pm is an elevated shopping experience with drinks, treats, a special discount on new arrivals and showcased looks for stylists. It's a great way to meet and mingle with our readers, clients, and make new connections. No RSVP necessary. We look forward to seeing you there.